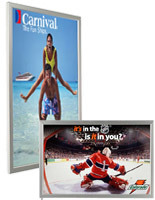 Media Size: 27" x 40"
22" x 28" 24" x 36"
These LED lightboxes with silver standoffs use energy efficient lighting to feature 27" x 40" movie posters. 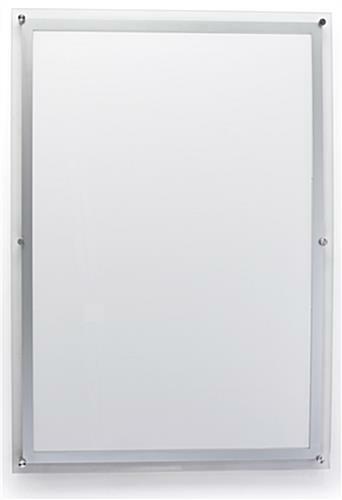 Each sign is mounted to walls with sleek spacers for easy installation. 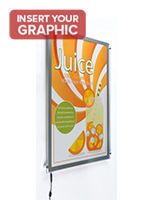 In addition, the modern LED lightboxes protect movie posters with an acrylic faceplate with beveled edges. 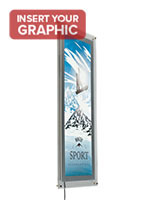 The displays feature strong lighting for extra prominence and their average lux rating is greater than 3000+. 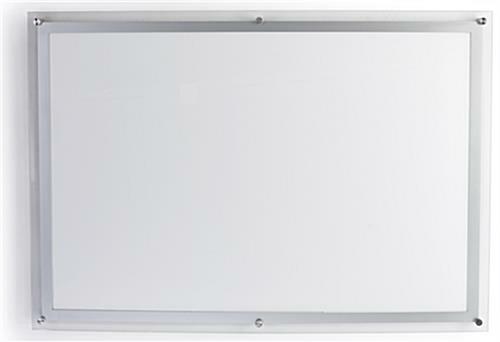 The lightboxes with spacers also come with a hidden power switch on the back and a 114" long power cord. 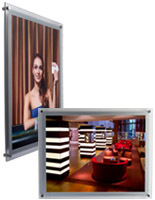 The signs are an excellent choice for lobbies, malls and theaters. 30.0" x 43.0" x 1.5"